← 77. Dufftown. 21 June 2018. 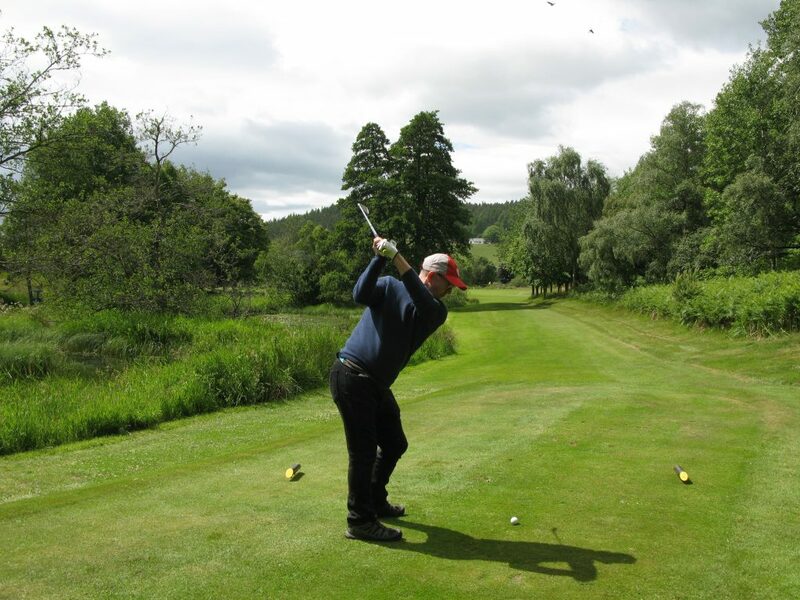 Craggan 9 hole golf course serves a great purpose as a nicely maintained facility in the heart of the Cairngorm National Park, affording golf to complete beginners and holiday golfers. In addition, as part of a commercial outdoors activity centre, with very many other activities on offer, it makes for a great day out for groups and families, where golf is only part of the plan for some or all. 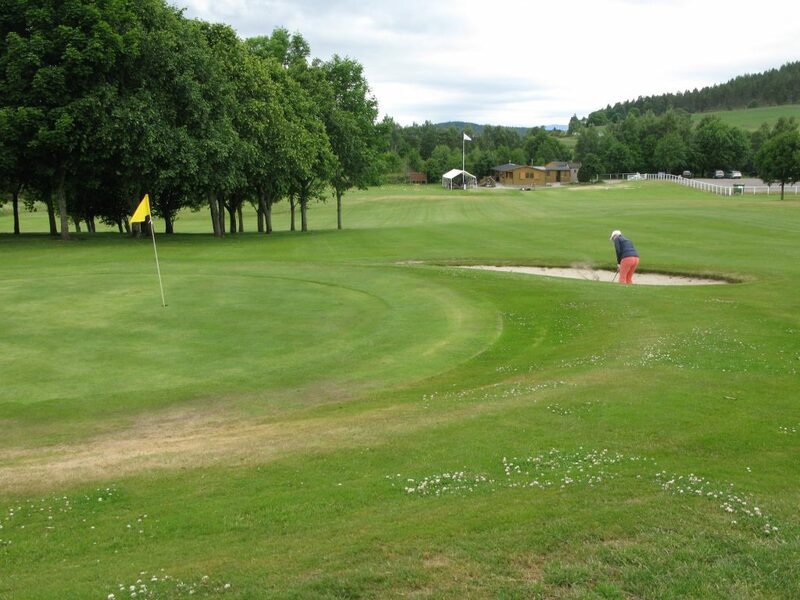 Having said all that, other than the 5th, 6th and 9th, the holes could be found on decent “pitch n putt” courses. It’s true that it is difficult to play to your handicap for better golfers, but that is due mainly to some very small greens. The nice 6th hole at Craggan – one of 3 good holes. It does have very nice views to the surrounding Cromdale Hills and the Cairngorms, but the nearby River Spey is only momentarily in view (from the 4th green) and never really in play. Several of the holes are not much more than 100 yards, but the 3 holes aforementioned are noteworthy. The 6th (162 yards) and 9th (132 yards) being the most visually attractive and both with water in play in the form of small ponds (part of the fishing on offer). The overall length is only 1269 yards. 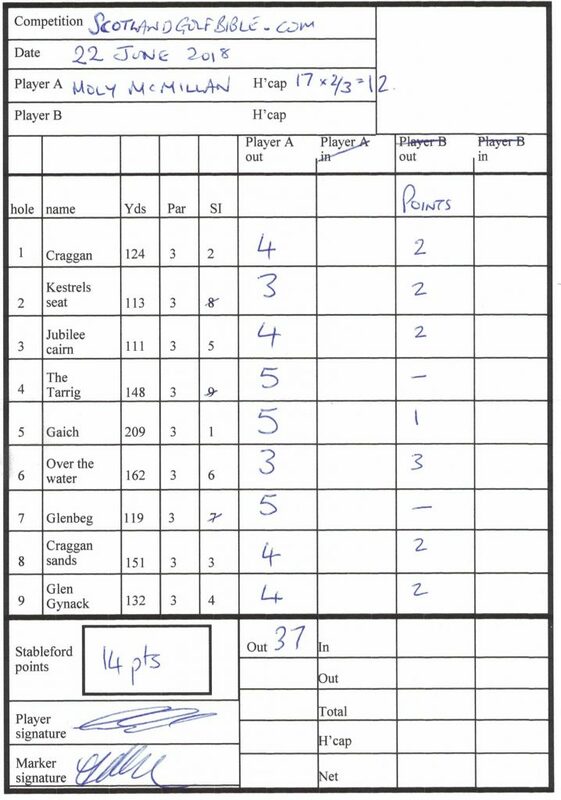 The 9th – the best hole on Craggan in Moly’s opinion. I didn’t strike the ball very well, and ended up with a 37, albeit I did enjoy the little course. It was well maintained when I played, although the tees were sometimes non-distinct. Price? There is a bit of a premium for the National Park location, but this is not great value at £15 for 9 holes. You need only to compare with other more established golf courses to see the over-pricing (e.g. Torphins is a great comparison). I think no more than £10 for 9 holes is a more reasonable price. 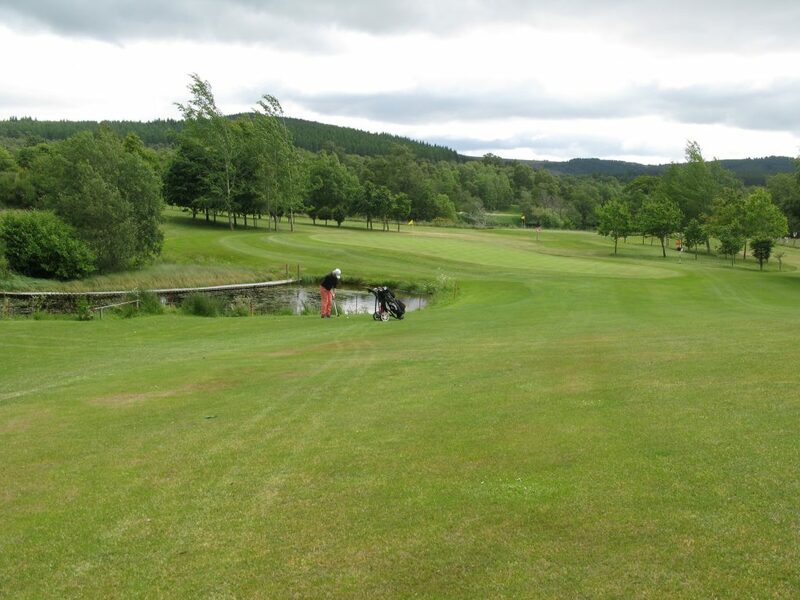 This entry was posted in 2 star, 2 star, 9 holes, Commercial, Course Architech, Course Owned By, Course Quality, Course Type, Holes, Overall Value, Parkland, Price, Region, The Highlands, Unknown, When Course Established, £20 - £39. Bookmark the permalink.